The Nantyglo and Blaina Ironworks Company Limited. 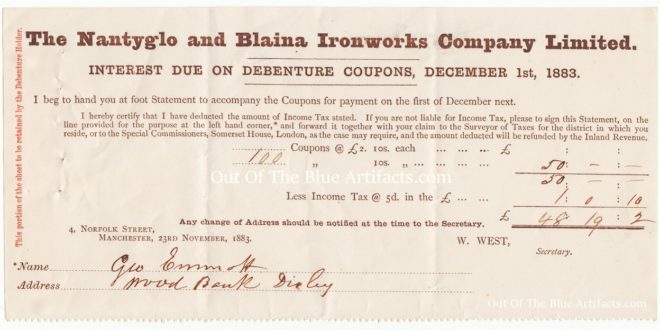 A receipt for the interest due on Debenture Coupons. The interest of £50 less £1.0s.10d was due to Mr George Emmett of Wood Bank, ? illegible place name. That sum is now the equivalent of £5,500 in today’s money.